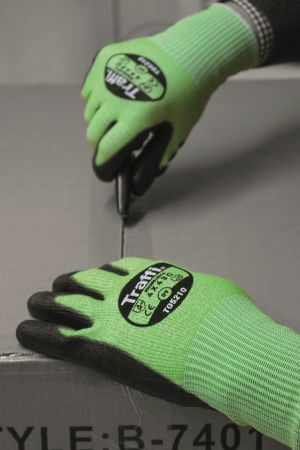 Offering exceptional protection against abrasion, cuts, tears and punctures, the TraffiGlove TG5120 Metric Cut Level C Handling Gloves promise protection across high-risk handling tasks. Their outstanding grip and flexibility gives you total control when handling items, while their tough nylon, HPPE and glass blend liner can protect your hands from sharp edges, coarse materials and more. What are the TraffiGlove TG5120 Gloves For? Please remember that these tasks are just examples of where these gloves are recommended, and they aren't limited to these tasks. Should you want to wear these gloves in environments that are higher risk but require grip, then these gloves should do the trick. How Much Cut Protection do the TraffiGlove Metric Gloves Offer? Don't be fooled by thinking that Cut Level C Gloves are average because they aren't. Under the old EN 388 standard they would have achieved the highest cut-resistant score, which means that they can withstand over 20 cycles of being repeatedly cut by a circular blade. If you'd like more information on EN 388 and TraffiGloves, please see the Traffisafe System blog. How Else do the TraffiGlove Gloves Protect Your Hands? This means that these gloves offer some of the best resistance around, achieving the maximum abrasion and tear resistance scores. This means that they can withstand most knocks, scrapes and rough materials, while their level 3 puncture resistance is enough to protect from most threats. How Thick Are the TraffiGlove Metric Handling Gloves? Despite the high level of mechanical protection that the TraffiGlove TG5120 Gloves offer, they still manage to retain a certain level of thinness. While they aren't as thin as their weaker cut level A gloves, they are still thin enough to ensure enough dexterity that handling is made simple. Furthermore they are also thin enough to grip and hold more tactile items, particularly those that are hard to grab such as tools and machinery. How Much Grip do the TraffiGlove TG5120 Metric Gloves Provide? TraffiGlove understand that the key to safe and secure general handling tasks is dexterity and grip. The TraffiGlove TG5120 Gloves are designed with both of these in mind, featuring a polyurethane coating that has texturing on the palm. This coating allows smaller and tactile items to grip a little more, perfect for fast work in assembly, automotive and industrial industries. 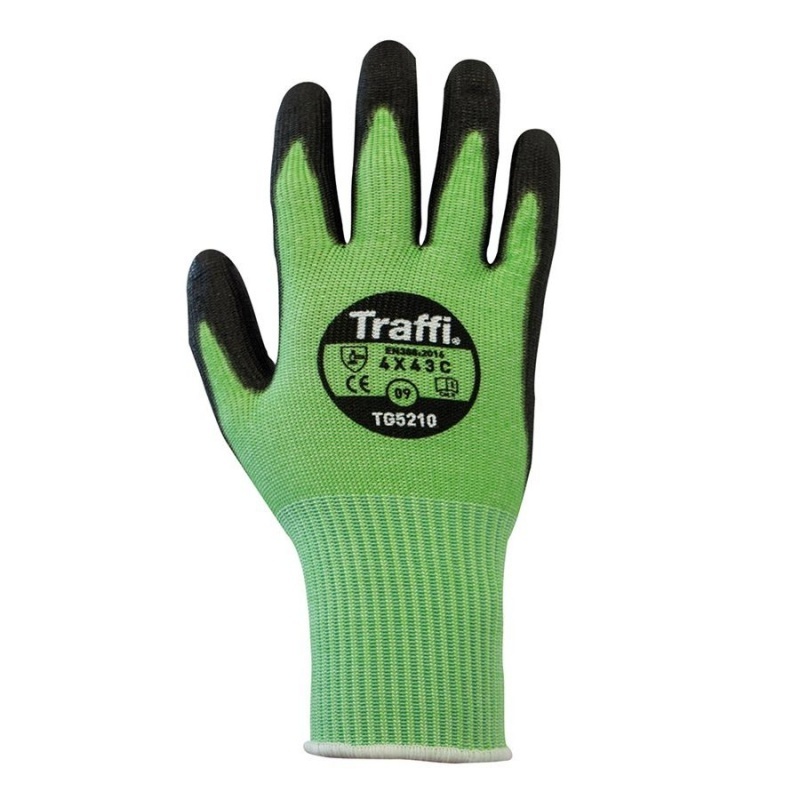 Do The TraffiGlove Metric Handling Gloves Protect the Wrist? The TG5120 Handling Gloves feature an extra long wrist, meaning that mechanical and cut protection is provided from your fingertips up to your wrist. This can work to give you a piece of mind at work, giving you the confidence to work without the threat of injury hanging over you. This increased confidence can improve productivity too, especially as the flexible design means that your wrists movement is not restricted. What Materials Are the Traffiglove Handling Gloves Made From? Can You Wash the TG5120 Traffiglove Gloves? 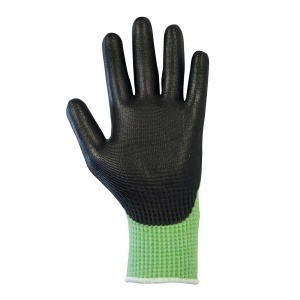 As the performance after laundering is unknown, we would not recommend machine washing or tumble drying these gloves. Machine washing the gloves may diminish their overall performance.